The Sarek from Swedish watchmaking and damascus-blade-making duo GoS is a watch that we have covered previously. Now, Patrik Sjögren and Johan Gustafsson are adding new members to this three year old collection family, by not just bringing in an unexpected dial, but also in a most unexpected way. 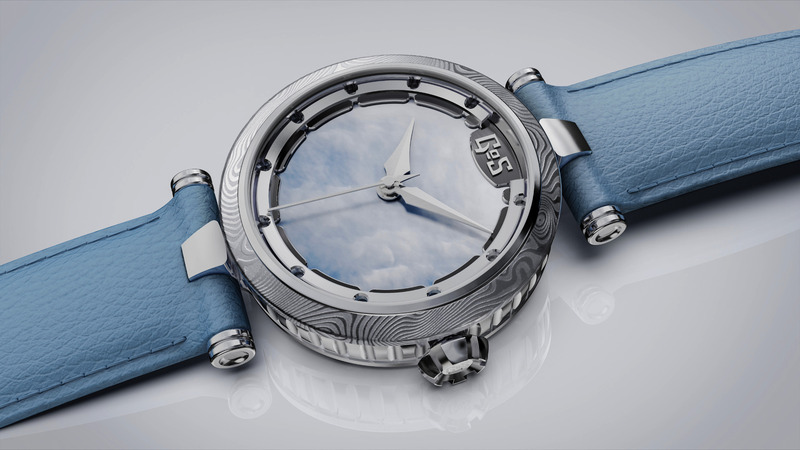 The landscape of a valley in the Sarek National Park in Swedish Lapland has been the creative inspiration of both the name and the colour choices for the eponymous model over the last few years, with the Damascus steel dials evoking the park’s waterways and landscape. 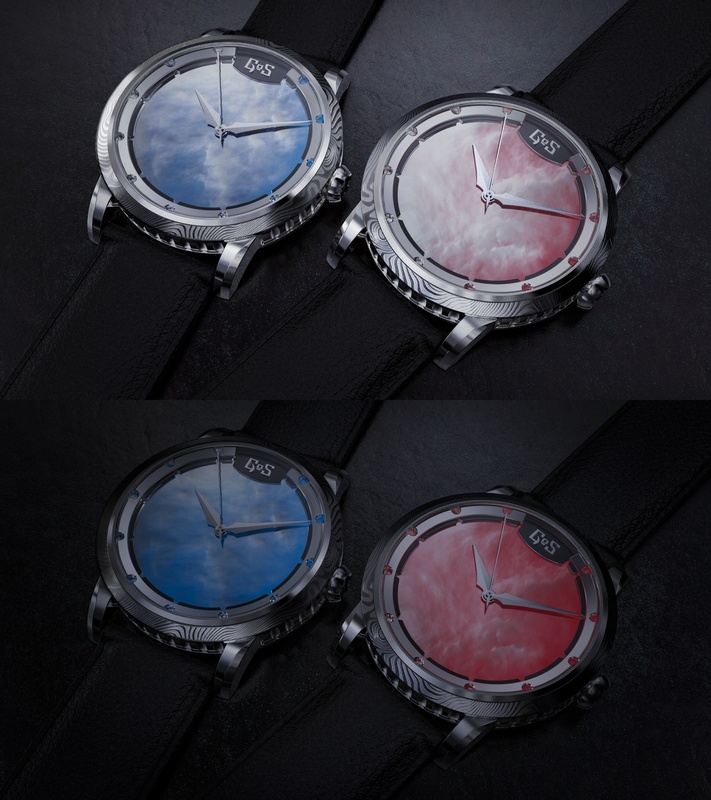 Now, the national park’s sunset and glaciers provide the inspiration for two new dials, in mother-of-pearl. However, this is not all; in a first for a watch dial, it combines mother-of-pearl with modern luminosity. Manufactured and assembled in the GoS workshop, they have taken advantage of the material’s inherent translucent qualities to play with colour and light. Patrik Sjögren new dials, which have coloured Super-LumiNova applied to the back of the mother-of-pearl, also have EU design protection. The new Sareks come in two sizes – the men’s is 43mm with a thickness of 10.5mm and the women’s, 31.5mm with a thickness of 9mm. Both are in stainless steel, with a water resistance of 5 ATM. 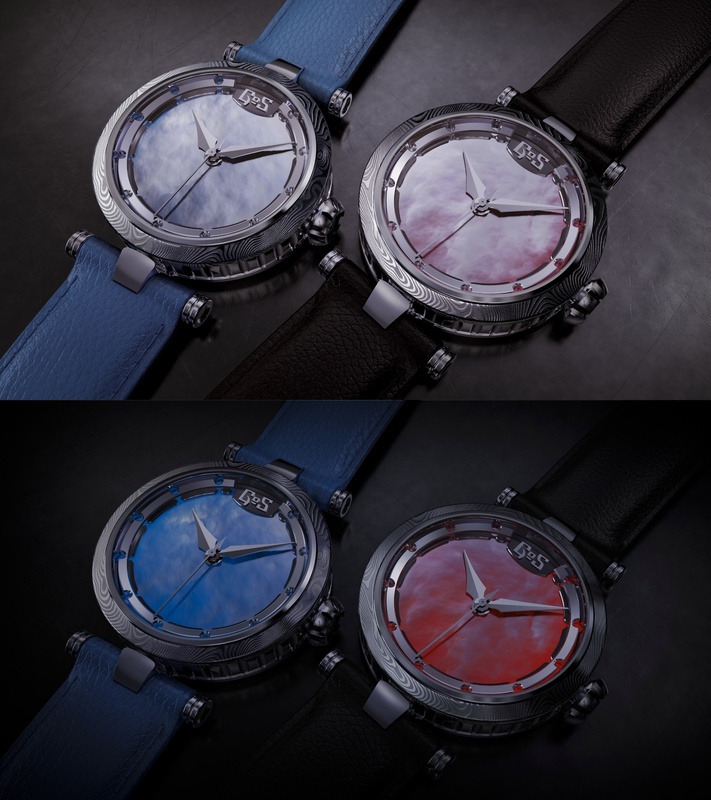 They are also both powered by the Soprod A10 movement, customised with the familiar GoS triskele rotor which has a counter weight made from German silver with the model’s name (i.e. ‘Glacier’ or ‘Sunset’) engraved on it. As we’ve mentioned before, the moose straps that come on GoS watches are a particular highlight of owning one of their watches. However, they have now decided to diversify. Although it comes with a Moose strap as a default, you also have the option of requesting another type of leather or colour. There’s been another change – the box. For these new Sareks, they have chosen to go for a continuation of the translucence theme of the dial, with a specially designed handemade glass box made by Vas Vitreum, a fourth and fifth generation family-owned Swedish company. The retail price of Sarek Glacier and Sunset starts from US $8.500 (excluding taxes) and they have a five year guarantee. To find out more about these watches that manage to be both charming and cool at the same time, go to the GoS website here. Good read. I have been following the brand now for a few years. A good alternative for someone wanting to step away from the dog and pony show of Rolex and similar watches. I first saw them ‘in the metal’ when I met Patrik after a few years of chatting with him on social media, and a friend subsequently bought one. They look even better under a loupe, the dials are really something.